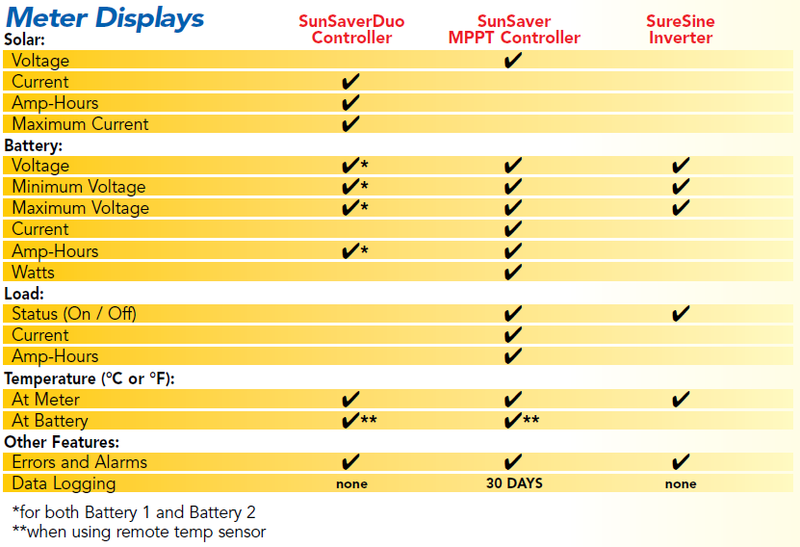 Click the button below to add the Morningstar SunSaver RM-1 Remote Digital Meter to your wish list. Simply plugs into other Morningstar productsvia RJ-11 connector. May be mounted in the wall or on the wall using the included frame. Also includes 10 meters of wiring with RJ-11 connectors and mounting screws. 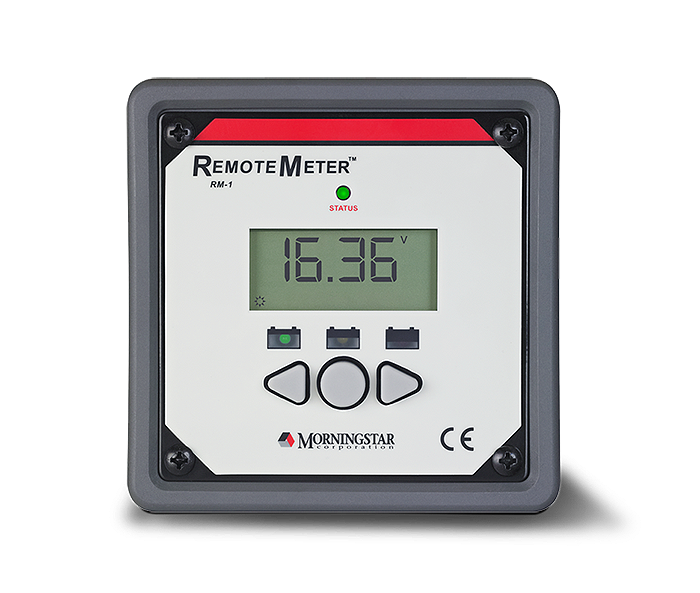 The remote meter was designed for low self-consumption to avoid draining the system batteries on even small solar systems. Self-consumption is 6mA with backlight off and 15mA with backlight on. 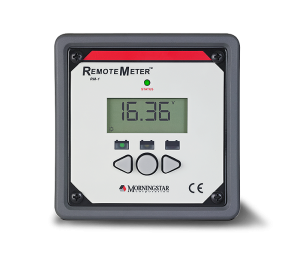 The temperature may be displayed in either Celsius or Farenheit, the backlight timer may be adjusted for desired running time and the amp-hours and minimum/maximum values may be reset.